On 19-21 November 2015, the Annual Assembly of the Eastern Partnership Civil Society Forum was held in Kyiv, Ukraine. IPHR Director Brigitte Dufour participated in the event and spoke at a session devoted to the situation of human rights defenders in Eastern Partnership countries, highlighting key concerns regarding the security of human rights defenders in this region on the basis of the work of IPHR and partners. The text of her speech is available below. The Eastern Partnership is an EU policy initiative launched in May 2009 that aims to bring the six countries of Armenia, Azerbaijan, Belarus, Georgia, Moldova and Ukraine closer to the EU. The Eastern Partnership Civil Society Forum brings together civil society actors working on these countries to facilitate sharing of information and experience and to promote dialogue with EU institutions and public authorities on issues addressed in the framework of the Eastern Partnership. The topic of this year’s Annual Assembly was “Moving reforms further in testing times”. Over the last few years, the ability of human rights defenders to carry out their work has deteriorated in the region where International Partnership for Human Rights (IPHR) works, including in a number of countries in the Eastern Partnership. We have seen an accelerating backlash against independent civil society across the post-Soviet space. Increasing restrictions on the rights to three vital freedoms – the freedoms of association, peaceful assembly, and expression – as well as growing threats to the security of human rights defenders and other civic activists have had a huge negative impact on the space for civil society to operate freely and without the fear of reprisals. This alarming development stands in sharp contrast to recent efforts at the international level to strengthen the protection of civil society worldwide. The adoption and implementation of legislation that sets out serious restrictions on the registration, operation and funding of NGOs (such as in Azerbaijan and Belarus, but also Crimea where notorious Russian legislation now is implemented). 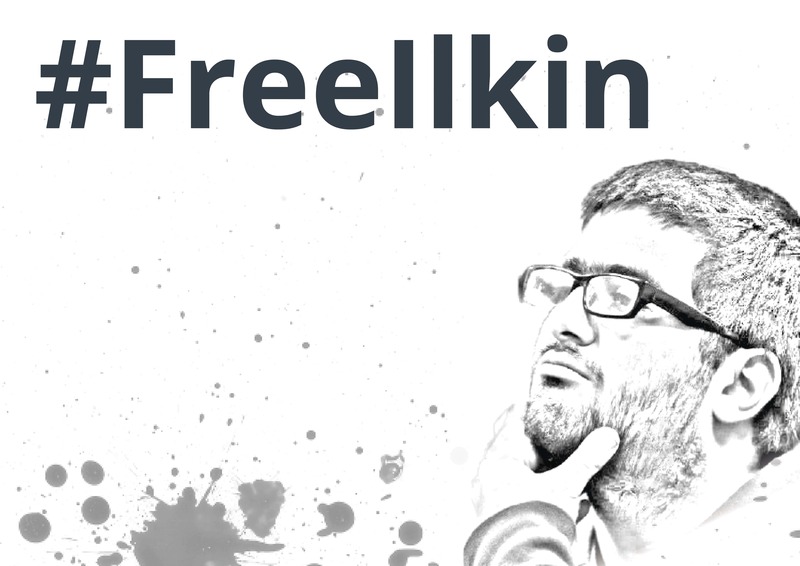 Arrests and trials of well-known human rights defenders on charges brought in retaliation for their work (the scope of which at this time is particularly alarming in Azerbaijan – which I will speak more about). 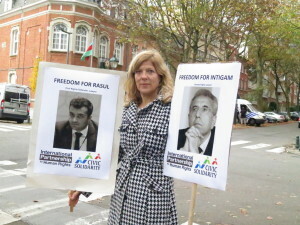 Obstruction of the legitimate work of human rights NGOs around elections (such as the recent presidential elections in Belarus and the recent parliamentary elections in Azerbaijan). Pressure directed at defence lawyers working on human rights issues e.g. by threatening them, disbarring them or even instigating criminal cases against them. Harassment of activists promoting and defending LGBTI rights (e.g. in Belarus and Armenia). Limits on peaceful assembly, in legislation and practice (one worrying example of this was documented by IPHR during the so-called Electric Yerevan protests this summer). Restrictions of the freedom of movement and other particular challenges faced by human rights defenders working in conflict zones (such as in Donbass, Crimea and Transnistria). In the following, I would like to discuss some of these worrisome trends in more detail, on the basis of the work that IPHR and its partners are currently carrying out in Eastern Partnership countries. I would also like to provide some brief remarks on how we are trying to respond to these threats, as part of broader efforts to counter shrinking civil society space. Currently a particularly vicious — and unprecedented — crackdown on civil society is under way in Azerbaijan. In 2014-2015, dozens of human rights defenders, civil society activists and journalists have been arrested, put on trial and convicted on trumped-up charges in unfair trials. Those targeted include internationally renowned civil society representatives Intigam Aliyev, Leyla and Arif Yunus, Rasul Jafarov, Anar Mammadli and Khadija Ismayilova, who have all been at the forefront of promoting human rights in Azerbaijan. In a by-now familiar scenario, charges have been brought on tax evasion, abuse of authority, forgery and the like, and hash sentences handed down in retaliation for the professional activities of the activists, lawyers and journalists targeted. Council of Europe Commissioner for Human Rights Nils Muižnieks has spoken about a “pattern of repression that has emerged in Azerbaijan in recent years whereby human rights defenders are (…) selectively targeted with criminal prosecutions on charges that defy credibility.” Arrested human rights defenders have also been subjected to ill-treatment in custody and denied access to necessary medical assistance. Many other activists remain at the risk of persecution and a number of individuals have fled the country on such grounds. The politically motivated prosecution of human rights defenders is taking place in the context of growing repression of NGOs. A 2014 study by the Venice Commission concluded that NGO legislation recently adopted in Azerbaijan, which has introduced new restrictions on the registration and access to funding of NGOs, enhanced government control over NGOs, and broadened grounds to dissolve NGOs is incompatible with international human rights standards. These restrictive provisions have been actively used by the Azerbaijani authorities, often in a retroactive way, to put pressure on independent NGOs, freeze their accounts, close them down, and imprison their leaders. In recent months, IPHR has organized a series of missions to monitor the trials against Azerbaijani human rights defenders, including in the cases of Rasul Jafarov, Intigam Aliyev, Khadija Ismailova and the NGO Institute for Reporter’s Freedom and Safety (IRFS). This has been done with the involvement of pro bono lawyers and local lawyers. As the dates of the scheduled court hearings in some cases have been announced in the last minute, making it impossible to organize a trial monitoring mission with international observers, cooperation with local lawyers has helped ensure monitoring at such trials. There has also been good coordination among different human rights NGOs working on Azerbaijan to ensure presence at each trial. While the arrests and convictions of human rights defenders have been widely condemned, there is a feeling among human rights defenders that not enough has been done by the international community to address the current crackdown. IPHR and other members of the Civic Solidarity Platform (CSP) have called for Azerbaijan to be suspended from the Council of Europe, taking into consideration in particular that the civil society crackdown worsened during and after Azerbaijan’s chairmanship of this body. At first, this initiative was considered “naïve” by officials, but now the idea is being pursued more broadly. Violations of the right to peaceful assembly are also part and parcel of the shrinking civil society space in our region. One country where such concerns are prominent is Armenia. In this country, the right to hold peaceful protests is systematically violated, and even small-scale rallies and demonstrations are often dispersed with unacceptable force. While the law requires protesters to notify the authorities of their intent to hold a demonstration rather than obtaining authorization, in many cases the authorities disperse peaceful protests, claiming they are unauthorized. The number of detentions of peaceful protesters has recently increased greatly: this year reportedly by 400% compared to last year. This illustrates police intolerance of protest and of use arbitrary deprivation of liberty of protesters. Together with three local human rights organizations, and in the framework of the CSP, IPHR deployed a mission to monitor and document the use of excessive force by police in response to the so-called Electric Yerevan protests in the Armenian capital this summer. This mission was organized within hours of the mass dispersal on 23 June of a peaceful demonstration to protest plans to increase electricity prices. A report detailing the findings of the mission was published shortly after the mission was concluded, and the report was presented on 14 July, at a public event in Brussels organized together with the Open Society Foundations. The report details a number of human rights violations committed by Armenian authorities when forcefully dispersing the peaceful demonstration and detaining participants. There are particular challenges to the protection of human rights in conflict zones. In the East Ukrainian region of Donbass, human rights defenders and activists working to document and investigate abuses related to the ongoing armed conflict have been subjected to intimidation, enforced disappearances and arbitrary preventive detentions. Aside from other harassment, human rights defenders in Crimea face restrictions on leaving and entering the territory of the peninsula. Similar situations are found in other post-conflict areas. For example, on 17 April 2015, in the Transnistrian region of Moldova, the separatist administration initiated criminal proceedings against civil society activists for defending the interests and rights of the inhabitants of the region. The Transnistrian separatist authorities declared that NGOs were forbidden to travel to this region. The CSP issued a solidarity statement about this worrisome development. In the context of the current conflict in eastern Ukraine, IPHR has – in the framework of the CSP and in cooperation with local groups – carried out numerous field missions to document gross human rights violations and international crimes committed in Donbass. Recently a submission was filed with the International Criminal Court and ongoing advocacy has been undertaken on the basis of the information compiled. This work serves to support the efforts of Ukrainian human rights groups to ensure accountability for atrocities perpetrated during the current conflict. Mobilizing solidarity and support on behalf of human rights groups and defenders at risk in target countries, through monitoring missions, reports and advocacy, and also providing emergency assistance to activists at risk and their families. Working with local partners on channeling first-hand, independent information to the EU, Council of Europe, OSCE and UN institutions to keep them informed and up-to-date on ongoing developments and to provide concrete policy guidance at relevant and strategic timing. Helping to improve the resources of human rights groups and defenders with respect to carrying out their work, reaching out to international advocacy targets and dealing with crisis situations. An important aspect of our work is our cooperation with other NGOs in the framework of NGO coalitions, including the implementation of solidarity campaigns to visibly raise attention to the cases of human rights defenders and advocate for adequate international responses. 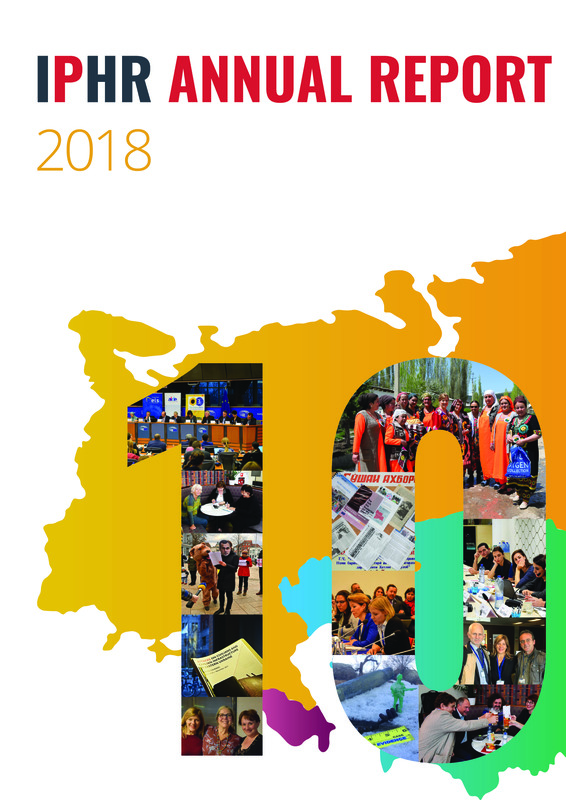 Such campaigns are part of the activities of the Civic Solidarity Platform (CSP), a network of some 70 human rights NGOs in Europe, the former Soviet Union and North America. Recently a new campaign was also launched by the Brussels-based Human Rights and Democracy Network to put the spotlight on human rights defenders worldwide and to promote more effective EU responses. At IPHR’s suggestion, the first case featured as part of this campaign is that of Leyla and Arif Yunus in Azerbaijan. Given the scope of the problem of shrinking space for civil society in the post-Soviet region, including Eastern Partnership countries it is clear that more consistent and determined efforts are needed by actors at all levels to help bring about real positive change. There is a good basis to build on – international human rights standards that unequivocally protect the rights of human rights defenders to carry out their important and legitimate work without fear of reprisals, as well as a growing number of UN, OSCE and EU guidelines in this area and the stated commitment by the EU and other international actors to help support and protect human rights defenders. The challenges lie in ensuring effective responses in practice. In cooperation with other NGOs, IPHR is seeking to be part of ensuring that real, positive change can happen, and we are always interested in new partnerships and ways of cooperation for this purpose. I would like to finish by recalling an expression used at the opening session today, namely “the need for security based on human rights and the rule of law”. This can’t happen without the participation of civil society and the contribution of human rights defenders, including those currently unjustly deprived of their liberty who I have mentioned. Rasul, Leyla, Arif, Intigam, Anar and Khadija do not belong in prison. Their place should have been here, at this forum today, with us.